The fall of the Soviet Union and collapse of communist ideology have profoundly influenced Azerbaijani society. Over the years since its independence, the population has tried to recover from seven decades of totalitarianism as well as move away from atheism. But transformation from a communist regime into a democratic society is a fraught process. Amid a weak security sector, gaps in the rule of law, and rapid globalization, strategically pivotal Azerbaijan became a target of a range of religiopolitical movements vying for influence. Proselytizing and charity institutions from Turkey, Iran, the Arab world, and the Northern Caucasus have come to the country to spread their ideologies. Some allegedly were linked to militant organizations. Radical groups began to gain ground in many regions of Azerbaijan, thus threatening the republic’s secularist proposition. The “War on Terror” announced in 2001 had a significant impact on Azerbaijan’s fight against its own radicals. If in the early 1990s the state was relatively weak, and could not effectively struggle with against extremist groups, after joining the post-9/11 anti-terror coalition, the state became more successful in arresting, sentencing, and deporting extremists. Arrests and crackdowns of Islamist networks showed, however, the fragility of the political system in Azerbaijan. Fears have been raised that radical Islamistm is growing in the country. Nevertheless, out of all republics of the post-Soviet Muslim-majority republics, it is probably Azerbaijan in which Islam has the weakest embrace. The Soviet process of secularization has had a lasting sociopolitical impact. Azerbaijan’s secular ethos has also ensured that the distinction between Shia and Sunni branches of Islam was fairly subdued. Moreover, the main opposition political parties have never mobilized around Islam, and their agenda has always been secular, liberal and pro-Western. After 20 years of independence, Islam has not come to dominate the society. One survey conducted recently by a think tank in Azerbaijan found that secular tendencies continue to dominate in the country. Only a slim minority of Azeris who described themselves as “religious” claimed to actually follow the tenets of Islam en toto. However, the influence of outside organizations should not be underestimated. Islamist movements in Azerbaijan may be divided into two groups: traditional and non-traditional. Researchers have also come to distinguish between “local Islam” and “imported Islam.” This article traces the contrasts. Despite the fact that over 70 percent of Azerbaijani Moslems follow Shi’a Islam, only a few have attempted to use Shi’a Islam for political purposes. Most of the attempts to bring Shi’a Islam into politics were connected with Iranian influence. At the dawn of independence, Azerbaijan seemed, to Iranian revolutionaries, an appropriate target for exporting their ideology. Iranian authorities spent millions of dollars for this purpose. Nonetheless, Tehran’s attempts have not been very successful, apparently due to the enduring legacies of the anti-religious policies instituted by the Soviet Union. The inability of Iran to establish an effective political movement to influence Azerbaijani public life forced its governmental agencies to rely mostly on radical clandestine organizations as their allies on the ground. In the early ‘90s, Iran did manage to create a party in Azerbaijan. The Islamist Party of Azerbaijan (IPA) was one of the first pro-Iranian organizations in the country. It was established in November, 1991 in the village of Nardaran, near Baku. The party’s basic ideology is the belief that only Islam can structure an independent Azerbaijan. The IPA preached an anti-Turkic, anti-Israeli, and anti-American doctrine laced with conspiracy theories. In 1995, the party’s leadership was accused of plotting a coup. Currently the party does not have large influence; their activities are mostly limited to a few villages surrounding Baku. Nevertheless, Shi’a ideology more broadly speaking remains strong in villages near Baku, and has been a source of unrest. In the summer of 2002, the inhabitants of the village of Nardaran, located 35 km north of Baku, took to the streets chanting religious slogans in protesting difficult socio-economic conditions. They expelled local government bodies and prepared for confrontation with government. On June 3, police and law enforcement agencies stormed the village, killing one and wounding more than 30. In the official statement issued by the Ministry of Internal Affairs, it was stated that the “settlement is the model of semi-closed society under a strong influence of Islamic fundamentalist circles. The failure of Shi’ite Islamism as an overt political force engendered a tendency, on the part of Iranian agents, to focus on clandestine radicalization and radical activism. By early 1997, newspapers reported that hundreds of young Azerbaijanis had been trained in Iranian Hezbollah camps. After their graduation, they were either sent back home to spread Hezbollah’s ideas or offered the choice to fight in Lebanon against the Israeli Defense Forces. Meanwhile, a council of 15 influential Azerbaijani religious figures is said to have organized the activities of the cells, whose responsibilities include forming an “army of God” to operate in Azerbaijan. In February 1997, a famous Azerbaijani scholar, Ziya Bunyatov, was assassinated in Baku — allegedly by Hezbollah , which had accused him of being an agent of the Israeli Mossad and of spreading Zionism in Azerbaijan. Five were arrested and sentenced to long prison terms. 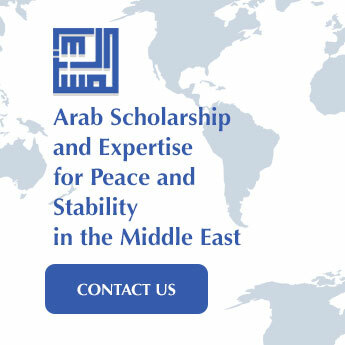 The death of the scholar prompted a full-scale assault on all Iranian-affiliated organizations. In the fall of 2001, the Ministry of National Security (MNS) arrested six citizens in possession of documents proving their connection with Hezbollah. Additionally, a network consisting of 30 people was revealed. During the interrogations, members of Hezbollah bluntly rejected the secular government of Azerbaijan. Within a few months, MNS had crushed most of the cells of Hezbollah in the country. The last serious attempt of pro-Iranian forces to gain ground in Azerbaijan was in 2006. This time the radical organization, called the Northern Army of the Mahdi, was formed to fight the United States and Israel, and to create a separate Sharia-ruled country. A group of 17 people headed by Said Dadashbeyli allegedly maintained secret contact with the Iranian Revolutionary Guards Corp. One of the leaders of the organization met with a member of the IRGC in the Iranian city of Qom, where he was allegedly offered financial support. Meanwhile, other members of the Northern Army received military training in Iran. Members of the group have been sentenced to terms in jail. Repeated attempts by the IRGC to establish a network of radical groups in the country speak to the importance of Azerbaijan in the eyes of its southern neighbor. Independent Shi’a Islamist movements do not exist in Azerbaijan. While there is occasional religiously-infused protest, it is generally more spontaneous in nature. One example was the case of the Danish cartoons controversyy. On February 9, 2006, about 1,000 young people took to the center of Baku to chant religious slogans, then marched toward the French embassy to submit a note expressing their grievances about the re-publication of offensive cartoons by French media. The next day, residents of Nardaran, a Baku suburb, set fire to the Danish flag and demanded a boycott of Danish products in response to the cartoons. That same day, a crowd of 100 young demonstrators with banners, shouting slogans in Arabic, had occupied Fuzuli Square in downtown Baku before being dispersed by the police. Another controversy arose from an article by Azerbaijani journalist Rafig Tagi in the newspaper Senet, titled “Europe and Us.” The article argued that Islam has not brought positive contributions or progress to the world. The argument divided Azerbaijani society. Immediately after publication, rallies and protests were organized in some Shi’a majority villages. During the rallies, protesters called for the murder of Tagi. Meanwhile, Grand Ayatollah Fazel Lankarani of Iran issued a fatwa calling for the deaths of Rafig Tagi and Samir Sadaqatoglu, the editor of the newspaper. On the whole, however, the secular fabric of Azerbaijani politics and culture as well as the subordination of clergy to the state have together prevented the radicalization of Shias, and enabled a peaceful, traditional form of “popular Islam” to survive. However, it may be possible for Shi’ite Islamists to exploit popular grievances, which range from economic and political disenfranchisement to policies over the wearing of hijab in schools and public institutions. A petition recently launched in defense of the hijab, which gathered tens of thousands of signatures, does not necessarily indicate the growing influence of Islamism in the country — but does point to the emergence of a disaffected stratum of the society. On July 27, 2009, police detained a group of young people in Ganja city for making propaganda on behalf of the Nurcu movement. Residents of Ganja Rufat and Rashad Verdiyevs, Murad Agayev, Elnur Aliyev, Azer Huseynov, Elazh Mursalov, Rovshan and Etibar Iskenderov, Ismail Askerov, and Alim Allahverdiyev, together with Baku resident Elchin Hajiyev, were arrested and charged under Article 310 of the administrative violations code. Police released nine of the detainees, but two men, believed to be the group’s leaders — Etibar Iskanderov and Ismail Askerov — were remanded on charges of posing a “threat to public order.” The spokesperson of the State Committee to Work with Religious Structures, Gunduz Ismailov, said that these people were fined, and the rest were released after voluntarily writing inculpatory statements.“They were detained for religious propaganda and violation of the rules provided in the law on freedom of religion,” Ismailov said. It was not the first wave of arrests of followers of the Nurcu movement in Azerbaijan. Starting in 2000, police frequently arresting these actors — but by contrast to members of other non-traditional religious streams such as Salafis, Nurcu followers have not been negatively regarded by the Azerbaijani public. Who are they? How active are they? Do they really pose a threat to the secular fabric of Azerbaijan? This Sunni Islamist movement drew its name from the Turkish village Nursi (near Bitlis city), where the founder of the movement, Said Nursi (1873-1960), was born. Nursi himself connected the name of his movement with the word nur, meaning light. The term “Nurchular”, which the movement uses, may be translated as “followers of the bright way.” The Nurcu movement differs from other Islamist movements in terms of its understanding of Islam and strategy for transforming society — by “raising the individual consciousness.” Nurcu treats freedom as an integral part of faith and identifies poverty, ignorance, and internal enmity as the major problems facing the Muslim community. Said Nursi himself argued that democracy and Islam are not contradictory concepts, and that democracy and freedom are necessary conditions for the existence of a just society. There are several reasons for the success of the Nurcu movement in Central Asia and Azerbaijan. First, for Azerbaijani and Central Asian Turks, the Nurcu movement is viewed as a “national Turkish understanding of Islam.” By contrast to other religious movements, such as Salafis, Islamic identity in the Nurcu movement has never sought to compete with or suppress the Turkic identity. This factor, together with a dostomctove;u “soft” approach to interpretation of religion, has been crucial in winning the hearts of many in this region. Sufi-oriented, “softer” Turkish Islam has proved more appealing to the Turkic nations than to Saudi or Iranian societies, where “rigid” interpretations of Islam have found many takers. The second reason is that Islam in the Caucasus and Central Asia is not the Islam of the Qur’an, but rather “legendary Islam” — a popular religion based on folk stories and other narratives. Said Nursi adopted a storytelling style to explain his message. In this context it could be said that Nursi’s teaching is not universally applicable to the Moslem world, but rather limited in appeal to the borders of the Turkic-speaking countries. Third, as noted earlier, the Soviet legacy of atheism endures in the region, and religious ideas have to compete with it. It is helpful, in this regard, that the Nurcu ideology stresses that natural science and scientific discoveries are not in conflict with religion. In the former Soviet republic, the Nurcu movement was closely associated with Fethullah Giilen. Within the five years after the collapse of the Soviet Union, Gulen’s own network of education and business institutions opened 118 high schools and two universities in the former Soviet republic including, 11 high schools and one university in Azerbaijan. By 1997, up to 23,000 students and pupils were studying at these institutions, and the number of Turkish instructors reached 2,688. The teachers of these schools in Central Asia usually came from the Middle East Technical University in Ankara or from Bogazici University in Istanbul. They construe their work as missionary in nature — a religious mission, albeit tinged with Turkish nationalism. In Azerbaijan, Nurcu ideology has been spreading since the mid-1990s through a range of educational institutions. These include, in Baku and in some provinces, lyceums Chag Eyretim (Modern Education), as well as preparatory studies which are considered to be the basis of the movement. Qafqaz University, which was established in 1993, has been one of the leading private institutions of higher education in Azerbaijan. In 2001, the university was granted “pilot status” by the Ministry of Education of Azerbaijan for its successful curriculum, which is based on a hybrid Turkish-Western program of studies. Currently, the Nurchu function on several levels in Azerbaijan. Adherents to the movement working in the private sector contribute a portion of their income to its activities. Educational work builds the movement’s future by securing its hold on young people. The activity of Nurchu in Azerbaijan does not have an overtly political slant, and society and state alike are on the whole accepting of them. They sometimes participate in discussions about Islam convened by political parties or public organizations of the republic. They also serve as a point of connectivity to Turkish nationals, both in the private sector and in government. When in January 2003 Reccep Tayyep Erdogan, the current prime minister, arrived in Azerbaijan, his visit was organized by Turkish businessmen connected with Nurchu. But the attitude of government officials to the Nurcu movement is complex. Law enforcement agencies have not accused Nurcu of attempting to destabilize the government. Though concentrated in the major cities — Baku, Ganja, and Sumgait, as well other northern and central regions like Gabala, Oguz, Goychay, Agdash, Shaki and Guba — in none of these areas has law enforcement designated them a security threat. Together with traditional Turkish Islam, the movement has often been viewed as a counterbalance to more radical Salafi Islam promoted by Arab countries. The government hoped that Turkish Islam would curb increasing Salafi influence in this region imported from Russia’s Dagestan Republic. But because of the assertive nature of Salafi propaganda and strong links between residents of northern regions of Azerbaijan and Dagestan, Turkish Islam has so far failed to serve as a counterweight to the more radical Salafi streams. Nevertheless, from time to time, police do arrest some Nurcular activists and charge them with “mild” violations, only to release them. In April 2007, two Nurcus were detained in Yevlakh region for organizing religious lessons and “resisting police.” The Qur’an courses of an independent imam close to Nurcu philosophy were closed in the south in 2007. In January 2008, local media reported the October 2007 arrest of a Turkish politician, Mehmet Harun Kayaci, for distributing illegal religious propaganda. Despite the fact that government adopt the view that no danger comes from Nurcular, the perception that the group is some kind of “secret society” has a tendency to stoke conspiracy theories about the movement. Back in 2006, Rafiq Aliyev, the former Chairman of the State Committee of Azerbaijan Republic for Work with Religious Associations — the official body of Azerbaijan Republic in charge of facilitating the lawful operation of religious communities — stated that Turkish schools in Baku spread the Nursi ideology and aimed to raise a community of 5,000-6,000 educated intellectual elites by 2010. A year later, Alahshukur Pashazadeh, head of the Caucasian Muslims Department, accused Nursists of creating problems. He said that “radical Wahabbis and Nursists are compromising the image of religion.” But the public itself was never hostile to Nursists. Ilgar Ibrahimoglu, the head of the Centre for Protection of Freedom of Conscience and Faith, believes that the problem of Nursists is exaggerated and artificially inflated. By contrast, in other countries of the region, Nursists faced persecution and imprisonment. In April of 2008, the Supreme Court of Russia designated the Nurcu movement as “extremist,” and forbade its activity on its territory. A year earlier, Moscow’s court had designated 14 books by Said Nursi as extremist literature and recalled them from booksellers. But the most drastic measures against Nursists are taken in Uzbekistan. Here, most of the active Nursists are either forced to emigrate or jailed indefinitely. It was in late 2008 that the Uzbeki government, having already brought down most of the religious organizations and movements in the country, turned its attention to Nurcu followers, the last independent religious movement. In 2009, four trials were held in Uzbekistan, and as many as 25 Nursists were imprisoned. It is worth mentioning that all the arrested young people had studied at the Uzbek-Turkish lyceums — the analogue to the lyceums of Azerbaijan — which had been abundant in Uzbekistan in 1990s. The schools were regarded as prestigious — the quality of teaching, high; the foreign language skills of students, impressive. However, these academic institutions were subsequently closed, and the teachers were expelled from Uzbekistan. In May of 2009, during a meeting of the Russian-dominated Collective Security Treaty Organization, the Nurcu movement was added to the list of designated terrorist organizations. The organization was accused of financing terrorist groups and preparing suicide bombers. A sober analysis of activities of the Nurcu movement in Azerbaijan and other former Soviet Republics leads to the conclusion that in truth, the movement does not represent any danger to the secularism of republics. The Nurcu movement lacks the requisite base to organizing social protests, let alone pose serious opposition to its host governments. The fate of the movement’s branches varies depending on the governments’ policies. In Azerbaijan the government seeks to achieve a balance of all streams of Islam – Salafi, Nurcu, Shia, and traditional Sunni – and prefers to channel adherents into a secular civic ethos. In Uzbekistan and in the Muslim republics of Russia, by contrast, local authorities give no chances to the Nurcu movement. Perceived as a conduit for Turkish policies in the region, Nurcu are in these cases embattled. In Azerbaijan, the Nurcular do not face persecution as in Uzbekistan — but the government will continue to monitor them closely and gauge their impact on the social fabric. Since the events of September 11, 2001, much has been said about the activities of Salafis around the world. Most media reportage tended to portray them as followers of radical organizations or trouble-makers. In Azerbaijan, where Shi’a Islam and traditional Sunni Islam have coexisted for centuries, Salafis were a relatively new phenomenon. Perceptions of the movement have been informed considerable misinformation, misperceptions, and superficial research. Yet the Salafi movement at a certain point became quite popular among young Azerbaijanis, and their numbers had reportedly reached 15,000 by 2003. The first Salafi missionaries arrived in Azerbaijan from the northern Caucasus in the mid-1990s. Most of them came from Chechnya and Dagestan, where Salafis had attained some influence, in large part due to the Russian-Chechen wars. For a short while, Salafis made inroads in Chechnya and were even able to create their own self-ruled area in the Dagestani villages of Karamakhi and Chobanmakhi. From Chechnya and Dagestan, they extended their activities into Azerbaijan. Initially, they did not gain wide support among Azerbaijanis, as nationalism and pan-Turkism were much more popular than Islam. Moreover, in the immediate aftermath of the collapse of the USSR, Azerbaijani society was not as deeply impoverished and polarized as it is today. In addition, the majority of Azerbaijanis adhere to Shi’a Islam, and hence have little interest in Sunni Salafism. The Shi’a Muslims of Azerbaijan – for both historical and cultural reasons – are more easily influenced by Iran, a country whose government is widely regarded as the archrival of Salafis. Given Azerbaijan’s Shi’a complexion, the religious Sunnis of rural Northern Azerbaijan form the primary constituency of Salafism in the country. The second wave of Salafi expansion started in 1999 with the beginning of the Second Russo-Chechen war. The Russian military command tried to push Chechen rebels –- particularly those of a Salafi orientation –- out of the northern Caucasus into neighboring Georgia and Azerbaijan. Thus some of the 8,000 Chechen refugees who arrived in Azerbaijan in 1999-2000 were persecuted Chechen Salafis. Meanwhile, missionaries from the Persian Gulf countries dramatically increased their activities in Azerbaijan. 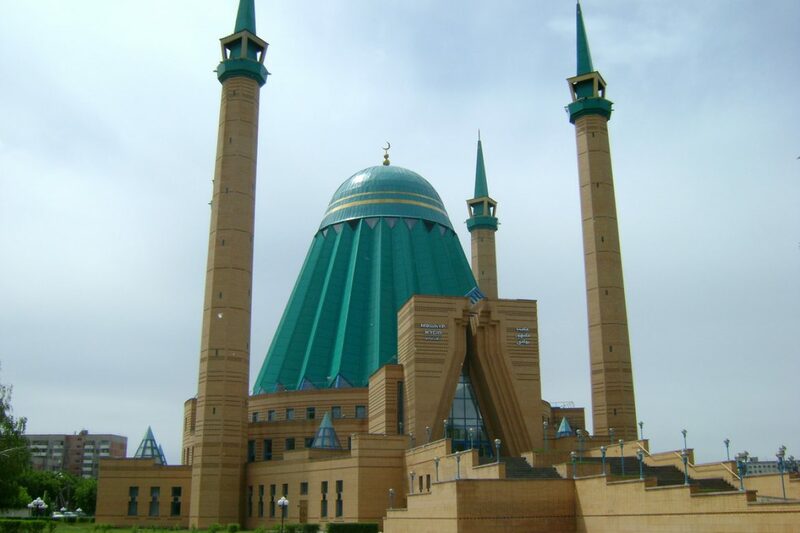 By 2003, 65 new Salafi-controlled mosques had been established in Azerbaijan. One of the largest Salafi mosques in the country is the Abu Bakr mosque. The Imam of the Abu Bakr mosque is Gammet Suleymanov — a graduate of the Islamic University of Medina, a leading center for the study and export of Salafism. There are essentially three factors that are driving the expansion of Salafism in Azerbaijan. First, the overwhelming majority of indigenous Salafis are Sunnis hailing from the country’s ethnic minorities. This constituency sees Salafism as a counter-balance to growing Iranian influence in Azerbaijan. Second, the rapid polarization and impoverishment of Azerbaijani society has led to a pervasive disillusionment with traditional institutions and modern Western democratic ideals. Salafis have cleverly tapped into this pool of profound discontent, frequently criticizing the corruption of the government, the decline of morality and traditions, and the rise of criminality in the country. Third, Salafis tout the universalistic qualities of their ideology, and its supposed transcendence all Islamic sects and traditions. This is particularly appealing in Azerbaijan, where sectarian rivalry between Shi’as and Sunnis has been on the rise. Researchers tend to believe that Salafism in Azerbaijan poses several serious challenges to the Azerbaijani establishment. Azerbaijan is a Muslim country where roughly 75 percent of the population is Shiite, with the remainder Sunnis. The decades of co-existence between the two branches of Islam in Azerbaijan created a fragile balance that neither mainstream Shiites nor Sunnis have wished to break. Moreover, Soviet repression of all branches of Islam put the Shiites and Sunnis of Azerbaijan in similar predicaments, providing them with shared experiences. Meanwhile, after centuries of development, Islam in Azerbaijan became a culture and tradition rather than strictly a religion per se. Although most Azerbaijanis call themselves Muslims, as noted earlier, they hardly observe Islamic tenets. Local people visit sacred places called pirs, along with graveyards of ‘saints’, rather than mosques, where they give alms and offer sacrifices. The official clergy do not discourage such behavior, which happens to benefit them in various ways, including financially. The appearance of Salafis in the country, however, broke this delicate balance. Salafis first started to preach against the pirs and saint worship, calling such practices acts against Islam. They would not recognize the official Shi’ite clergy, and accused them of serving as agents of Iranian policy. They also said that Shiites were heretics, and called for “purifying” Islam in Azerbaijan. Some Salafis employed violence to show their adherents the ‘right’ path. For example, Salafis have attacked pirs, destroying them in several instances and angering the local population. Meanwhile, the proliferation of Salafi ideas among religious and ethnic minorities have created powerful centrifugal forces that may eventually threaten the national unity of Azerbaijan. Contrary to their own propaganda, the Salafis exacerbated sectarian tensions in the country. However, the Salafis’ years of experience inhabiting a Shi’a-dominated society, coupled with constant pressure from the government, have tempered Salafis somewhat. Many gradually came to abandon their harsh rhetoric. One may divide today’s Salafis between their violent and non-violent strands. The activities of non-violent Salafis are usually centered around Salafi mosques or charismatic leaders, and are mostly limited to preaching and discussions. The leader of the non-violent Salafis is Qammat Suleymanov – the sheikh of the Abu Bakr Salafi mosque. Suleymanov was born in Baku in the 1970s. After serving in the Azerbaijani army, he left for Sudan in 1991, where he studied at the University of Khartoum for two years. From 1993 to 1998, Suleymanov studied at the Islamic University of Madinah. After returning to Azerbaijan, Suleymanov became sheikh of Baku’s Abu Bakr mosque, built in 1997 by the Azerbaijani branch of the Kuwaiti society Revival of Islamic Heritage. Although the mosque was cited as a favorable place for recruitment during several trials of Salafi radicals, none of the charges was brought against Suleymanov. Militant Salafis, by contrast, organize around radical causes and typically draw support from abroad. In contrast to some other terrorist groups, militant Salafi organizations do not have a pyramidal structure. They are weak, loosely connected, and gravitate around the leader. The majority of Salafi mosques in Azerbaijan are under the tight surveillance of law enforcement agencies. The creation of a strong Salafi radical organization is thus prevented at its embryonic stage. Meanwhile, an absence of funds, training, and equipment limits the activities of Salafi organizations. Militant Salafi groups have a greater chance of survival if they have significant assistance from abroad. The Salafi Forest Brothers was another radical organization. It operated mostly in Southern Dagestan and Northern Azerbaijan. Other cells of this organization operated in Kabardino-Balkaria, Ingushetia, Northern Ossetia, and other regions of Russia. The group was established by Kwase Jaffon, an Arab veteran of the Chechen war. Kwase Jaffon is alleged to have visited the northern regions of Azerbaijan, where he established local cells. Azerbaijani law enforcement agencies have reported the discovery of hidden caches of arms and food in forests of northern Azerbaijan. In late October of 2007, the Azerbaijani public was shocked by the news that Kamran Asadov, an officer of the Azerbaijan National Army, had deserted his military bases, taking four automatic rifles, one machine gun, twenty grenades and many rounds of ammunition. Asadov allegedly was a member of Salafi group that had committed an armed assault on a Lukoil gas station and heavily wounded an employee. According to the Ministry of National Security of Azerbaijan, the group planned to attack the U.S. and British embassies. In early November, Asadov and all the members of his group were arrested. Terrorism researchers in Azerbaijan have opined that sooner or later, militant Salafis will strike non-violent Salafis whom they consider “collaborators.” On August 17, 2008, three people were killed and 13 wounded in the bombing of Baku’s Abu Bakr mosque during evening prayer. Witnesses claimed that a young man threw a grenade into the mosque, where up to 200 people were praying. The assailant managed to run away despite attempts to capture him. The Ministers of National Security and Internal Affairs immediately visited the scene of attack, while the investigation was taken under special control of the Azerbaijani president. Gamat Suleymanov, the imam of the mosque (who was wounded in the bombing and is believed to have been the main target of the attack), stated that the incident aimed to destabilize the country. However, he did not point to a specific group that could be behind the bombing. One of the popular explanations for the bombing is the struggle within Baku’s Salafi community between Abu Bakr-associated leaders and a group of radical Salafists. According to Shaykh Allahshukur Pashazade, chairman of Azerbaijan’s Caucasian Muslims Office, “The happenings in Abu Bakr mosque are the result of the discord between two groups. These groups can’t stand each other, but this should not emerge as a religious problem. The whole world knows that Azerbaijan is a tolerant country. If there had been a problem in the religious field in Azerbaijan, such acts would have been committed against the representatives of other religions – Jews, Christians.” Authorities have reported the arrest of a police major alleged to be a “Wahhabi” (Salafist) in connection with the attack. A Kalashnikov assault rifle and large quantity of ammunition were seized in his office. As early as 2005-’06, members of Baku’s Salafi community identified a group of Salafis who disagreed with the leadership of Imam Suleymanov, who professes to be apolitical and urges his followers to cooperate with the state. The discord mainly concerned the issue of relations with the government and other religious communities. Those who disagreed with the policy of the Abu Bakr community and its leadership were expelled from the mosque. This faction is referred to locally Khawarij (“the expelled”) after the seventh century Kharijite sect. Though the Khawarij have largely passed from history, the term remains popular in Islamic circles as a derogatory term for Muslims who reject religious authority and threaten to divide the community. The Azeri dissidents seek an Islamic state and say that God is their only authority, rejecting the kafir (infidel) government in Baku. Radical Salafis are considered likely to become involved in militant activities. A few weeks before the bombing, an Azerbaijani court sentenced a group of Salafi radicals called “the Abu Jafar Group” for plotting to attack Western diplomatic and oil facilities. According to trial documents, the organization, consisting of 17 people and headed by Saudi citizen Abu Jafar (Nail Abdul Karim al-Bedevi), was closely linked to al-Qaeda and al-Jihad. Investigators believe that Abu Jafar had trained in Georgia’s Pankisi Gorge and participated along with other group members in military activities in Chechnya and Dagestan. It is most likely that the bombing was indeed implemented by a group of Salafi radicals who disagreed with the policies of the Abu Bakr mosque. In any case, the bombing became the first terror attack committed in a sacred place in Azerbaijan. Although it is unlikely to lead to the type of sectarian violence experienced in Iraq or Pakistan, it is nevertheless a serious warning to Azerbaijani authorities not to ignore local radicalism by treating it as an external rather than internal problem. With respect to the future of Salafis in Azerbaijan, it is unlikely that non-militant Salafis will organize strong political organizations, for several reasons. First, Salafis worldwide — and in Azerbaijan particularly — believe that Muslims should not engage in Western activities such as political participation. Second, the Azerbaijan government will not permit Salafis to organized at any level. Radical militant Salafis will nonetheless continue to pose a threat to the secular statehood of Azerbaijan. The majority of the public and Azerbaijan’s law enforcement agencies do not see much difference between radical and peaceful Salafis. In many cases, peaceful adherents of Salafism are oppressed, arrested, or forced to shave their beards. Such actions and continued oppression could drastically change the situation, leading peaceful Salafis to feel the need to organize or join radical groups in order to resist police brutality and persecution. That, in turn, could lead to a new wave of opposition between Salafis and government, the outcome of which is hard to predict. Azerbaijan faces problems peculiar to a Muslim-majority country with a Western outlook. There are clear indications that both Shia and Sunni Islamist activity is increasing. Meanwhile, the growing influence of foreign ideological missionaries is becoming more and more evident. At the same time, the Azerbaijani establishment is not threatened by any broad, mobilized Islamist opposition today, nor is such a scenario likely in the near future. There are, to be sure, some indications that the current secular political opposition may cooperate with Islamist parties. For example, several protests in early 2011 were organized by Islamists and secular opposition parties working in tandem. But such unity did not last long. Islamists, in any case, have few institutions or credible leadership figures. No Islamist has won more than 3 percent of the votes in recent electoral polls. Nor is there an independent Shi’a clergy in Azerbaijan. As to Sunni Islamism, the leadership is weak and the potential base of followers is small to begin with. Salafism can turn violent in the country. But it would be limited to cases of individual acts of violence lacking broad social support. In sum, no political force with a religious ideological agenda has the potential to become a force in Azerbaijan in the near future. The government of Azerbaijan, as in many countries in the Middle East, appears at times to attribute the presence of cells of radical Islamist organizations to “foreign influence.” It is always easier to connect Islamism in one’s country with foreign influence than to look at the real factors leading to the emergence of such organizations. The core support base of Salafi groups, for example, is usually a low-income group of religious young men, mostly unemployed and dissatisfied with the government of their country. They tend to view their government as corrupt and see a theocratic state as the only alternative. An explanation for their Islamization may be found in “relative depravation theory.” To paraphrase Gurr and Mandaville, various programs and schemes through which the Azerbaijani government initially sought to encourage some form of youth participation fell out of synch with the pace of societal development. Educated, religious youth grew disappointed by a government that failed to provide them with decent jobs. The few and much-coveted positions available within the private sector, mostly in the oil sphere, tended to be reserved for those elites whose patronage propped up the state. Far from opening new paths for participation and social mobility, the Azerbaijani system seemed to have done little more than re-entrench existing patterns of social influence behind a new modern façade. In many cases, the gap between rich and poor actually widened, without meaningful political enfranchisement of the young generation. What Azerbaijan is experiencing now is a classic case of “relative deprivation” caused by rapidly rising economic and political expectations that were not being met by material conditions. Historical experience shows that cracking down on religious movements in the country will not deliver long-term benefits. Instead, it could further alienate religious minority groups and lead them into the trap of terrorist organizations. The exaggeration of the terrorism threat has been used so far to justify repression and control of religious life, which risks leading to polarization and possible radicalization of the many more who have suffered from police brutality even if they were originally apolitical and purely religious. For the Azerbaijani government, it is time to address important issues such as corruption, poverty, and democratic participation. Aspects of today’s religious climate in Azerbaijan are similar to those of Iran in the early 1970s: disenchantment with current government, concern over a grave economic situation, anger over repression, and disappointment with democracy. If this situation continues, religious organizations with ample foreign financing will recruit more followers. After all, even during the Iranian revolution a large portion of the population did not want Islamism but simply united behind an Islamist leadership to overthrow an unpopular government. Azerbaijani state institutions should put greater effort into formal religious education of citizens and aspiring clerics. Sectarian violence is another danger that could undermine stability in the country. In the 1980s, tensions between Shi’a and Sunnis in numerous Muslim countries were running high — but not in Azerbaijan. By the end of 90s, however, the situation in Azerbaijan had changed. Todayy, the prospect of clashes between various Muslim communities is no longer far-fetched. The government should work to reduce the influence of radical ideologies through tight control over foreign missionary work. It should also initiate Salafi/Sunni-Shi’a dialogue to reduce sectarian tensions within the society. A national public debate involving independent and official clerics, scholars, and NGOs should be organized to define optimal relations and foster an appreciation of the principle of religious freedom. Independent religious communities, in particular Salafi groups, should in turn clearly warn their members of the perils ofterrorism and militancy. They should also engage in genuine dialogue with official clergy and Azerbaijani authorities. If Azerbaijan could incorporate various ideologies and independent communities into its social and political system, it would enrich the society and further a culture of tolerance. Otherwise, Azerbaijan may eventually face terrorism and radicalism that could endanger the secular statehood of the young republic. *Anar Valiyev received his masters in public affairs from Indiana University Bloomington and holds his Ph.D. in Urban and Public Affairs from the University of Louisville in Kentucky. His areas of interest include Islam and society, public policy of post-Soviet countries, governance, and democracy. Yunusov, Arif, Islam in Azerbaijan, Baku, 2003. pp. 260-261.